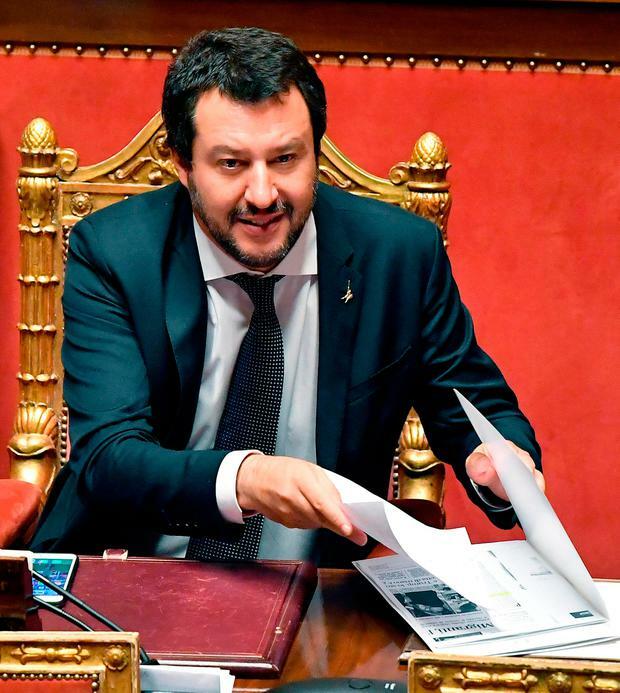 Those Trump-style words were expressed in a tweet last Tuesday by the newly installed Italian Interior Minister, Matteo Salvini, leader of the federalist (Northern) League and current deputy Prime Minister. His hardline, anti-immigrant convictions had always seemed set to provoke an immediate head-on clash with Italy’s senior EU partners. In the end, it took him less than a week. Within hours, French President Emmanuel Macron had dubbed Salvini “cynical and irresponsible” while Macron’s party spokesman stated that Salvini’s politics “make me vomit”. Salvini stuck to his populist guns, however, refusing to allow the ship to dock, forcing it to go to Malta, where its cargo of Sudanese, Eritreans, Bangladeshi, Pakistanis, Moroccans and Algerians was again refused entry. Finally, new socialist Spanish Prime Minister Pedro Sanchez said his government would take in the migrants in the port of Valencia, where they are due to arrive today. Salvini was visibly satisfied with his coup, telling advisers that “Brussels” needs to understand that “the music has changed around here”. In a speech to parliament last Wednesday, he defiantly attacked French “hypocrisy”, pointing out that Paris wants to “act the Good Samaritan” with migrants on Italian soil but is more than happy to block them at the Italo-France land borders of Ventimiglia, in Liguria, and Bardonecchia, in Piedmont. In particular, Salvini recalled how France had denied entry to 10,000 mainly Eritrean migrants back in 2015. Inevitably, the diplomatic spat cooled. Macron phoned new Italian Prime Minister Giuseppe Conte in midweek to confirm last Friday’s scheduled bilateral meeting. So, it was all kisses and hugs… and I still love you? Not really. The point is that Salvini had very clearly unmasked a fundamental European Union failing. Namely, the lack of a coherent, EU-wide migration policy. From Budapest to Berlin, from Lesbos to Lisbon, EU member countries continue to interpret the complex rules and regulations relative to migrants, to suit their own purposes. It is worth recalling that the EU migration crisis first began to assume its current biblical proportions following the 2011 so-called Arab Spring, mainly in North Africa. The subsequent disintegration of Libya and then the disastrous impact of the still ongoing conflict in Syria (not to mention conflict in Iraq, Afghanistan and Yemen) all exacerbated the problem. By 2015 and 2016, three million people were seeking political asylum in the EU as they ran from war, impending poverty or natural disasters. Given that the EU population is 508 million strong, a figure of three million should not necessarily prompt a populist panic. Yet it did, as EU citizens nightly saw images of boats laden with Africans arriving in Sicily, or trains crammed with Asians and East Europeans pulling into Berlin or camps in Lesbos, Greece, filling up with Syrians and others bound (they hoped) for Europe. Perception is everything. If you have stood on the quayside in Palermo or Catania – as I have – watching boatloads of tired, hungry, barely clothed migrants disembark, some still dazed by the trauma of having been pulled out of the Mediterranean after their rickety boat went down, well then perception is indeed everything. As the migrants, in this case mainly African, line up for a routine medical check right on the harbourside, you can feel only sorry for them. Well-meaning medical volunteers poke a little at them and look into their mouths to check teeth, just like a horse dealer at Ballinasloe Fair. Then they are taken off to the first of many ‘holding’ pens that will come to symbolise much of their Italian experience. Except that these are not horses at Ballinasloe, these are families, men, women and children, caught up in a desperate global plight. Overall, international migrants make up 244 million people or 3.3pc of the world’s population. Even if the number of migrants arriving in Italy has radically diminished in 2018, the popular perception remains that Italy is being “invaded”. Between 2014 and 2017, more than 100,000 migrants landed in Italy, stretching the country’s already inadequate resources well beyond breaking point. In contrast, in the first five months of this year, some 11,000 migrants have landed in Italy. According to the UN Migration Agency, the IOM, in that same period this year, 33,400 people have crossed the Mediterranean to Europe, with some 785 drowning in the process. The above figures would suggest that the Italian crisis is over but that is not the attitude taken by Salvini. He desperately wants the terms of the 2013 Dublin Agreement rewritten. In particular, he and a large body of Italian popular opinion argue against the rule which says that a migrant must ‘register’ (and therefore most likely stay) in the country of his/her first EU port of entry. Given that the Italian island of Lampedusa is just 70 miles off the Tunisian coast and 300 miles from Libya, Italy is clearly always going to be the first point of arrival for many migrants, above all those from the world’s poorest continent, Africa. Hence, Salvini argues that Italy has been left to deal with the problem on its own. Here, too, he has a point. Only one EU country, Germany, processed more asylum requests last year than Italy, 198,255 as opposed to 126,350. By comparison, Holland processed 16,090, Sweden 22,190, the UK 33,310 and Hungary just 3,115. For the time being, Salvini has not closed all doors. He draws an important distinction between migrants who arrive on Italian navy or coastguard ships and those who are “delivered” by NGOs such as those on the Aquarius. 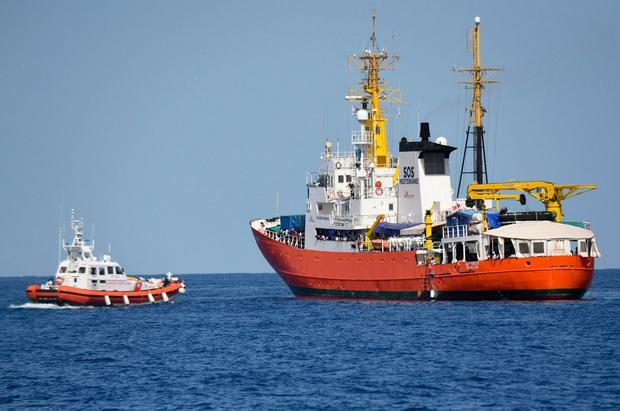 For example, the coastguard vessel Diciotti disembarked 932 migrants in Catania, Sicily, last Wednesday. On top of that, Salvini regularly argues that only 6 to 7pc of migrants are political refugees, with the rest being economic migrants, suggesting that the economic migrants should have fewer, if any, rights. Furthermore, like many in Italy, Salvini believes that organised crime syndicates have wormed their way into the migration business, not only transporting the boat people across the Mediterranean but also running migrant holding centres in Sicily, Rome and elsewhere. For that reason, he has his reservations about some of the less well- known NGOs. Salvini’s call for tougher controls has unexpectedly won him immediate allies with both the Austrian Chancellor Sebastian Kurz and the German Interior Minister Horst Seehofer last week envisaging a Rome, Vienna and Berlin “axis” on migration, a move that could yet cause problems for Chancellor Merkel. When Salvini last week blocked the Aquarius, it looked like a populist, consensus-seeking stunt. One week later, it might have become the first step in a radical rethinking of EU migration policy. Perhaps, this new Italian government is not quite as naïve as it might have seemed to some.